Who says leopard print has to be kept for winter? 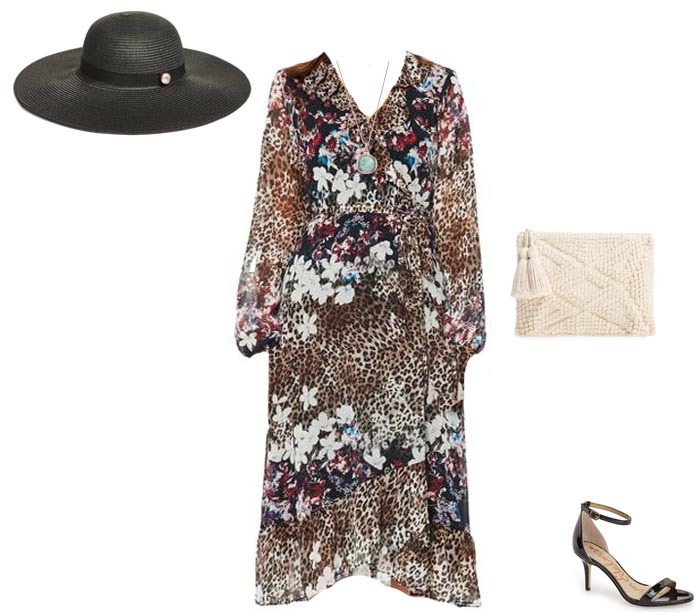 While we tend to keep animal prints for the colder months, teaming them with darker hues, leopard print can look just as beautiful during the summer. 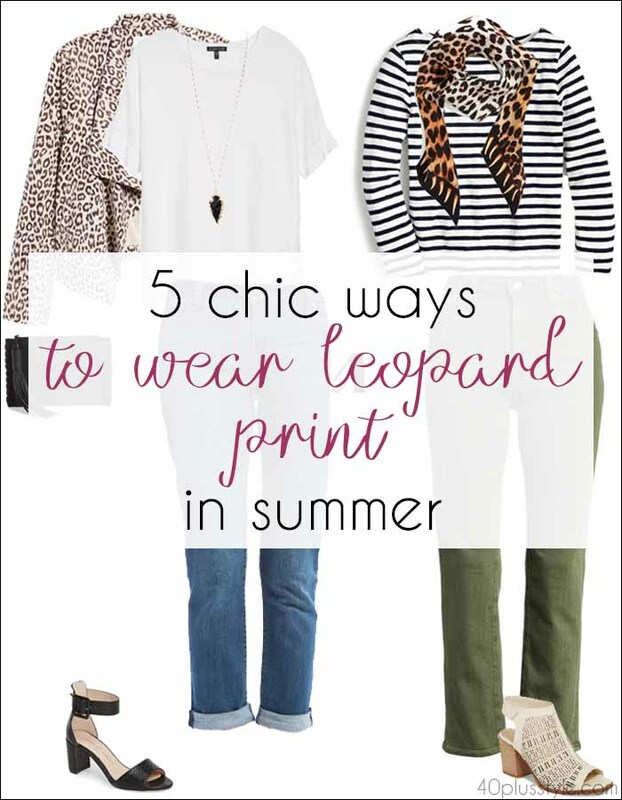 Here are some tips for ways to wear leopard print during the warmer months. 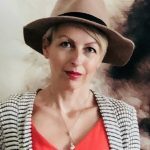 Best of all, because it works as a neutral, leopard print can be worked into most looks, whether you opt to go bold with a leopard print coat, or prefer a more subtle approach with shoes or accessories. 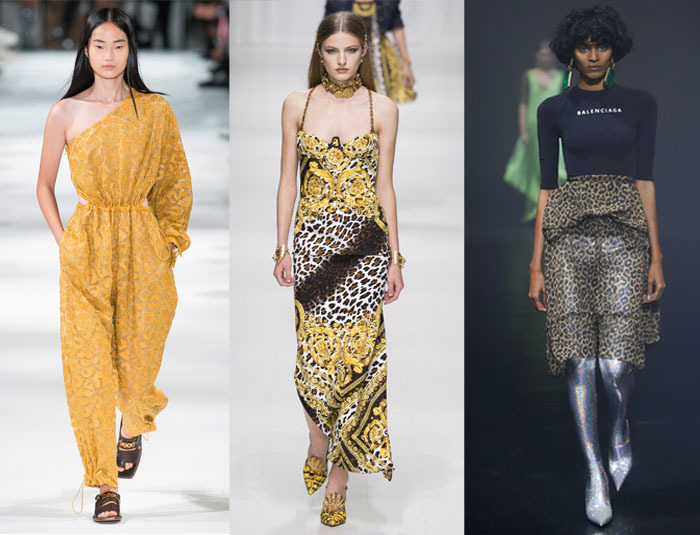 Designers including Stella McCartney, Balenciaga, Christian Dior, Saint Laurent and Versace all sent their models down the SS18 runways showing off different ways to wear leopard print. A leopard print jacket always adds a touch of oomph to an otherwise simple outfit. But keeping the jacket lightweight and adding sandals, you can create a summer look. White pants are a summer style staple. And, with good reason. They transcend seasons, so you can bring them out year after year. Plus, they add a touch of summer freshness to any outfit. 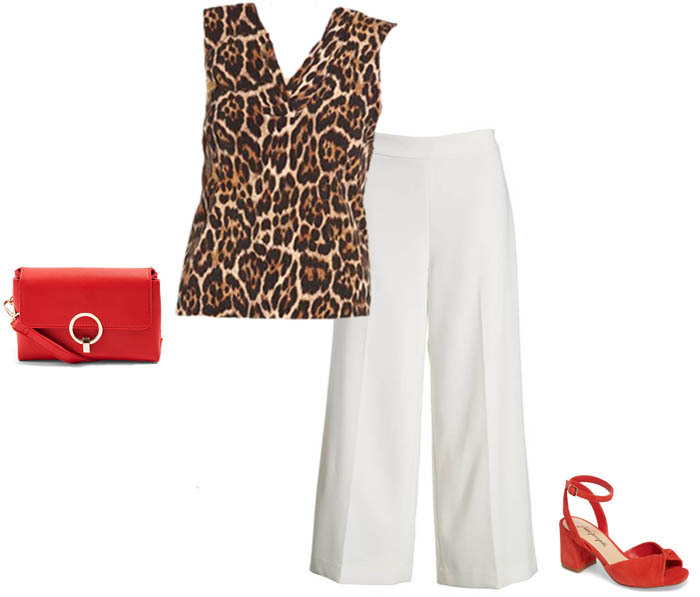 Here, leopard print is teamed with white, and red accessories. 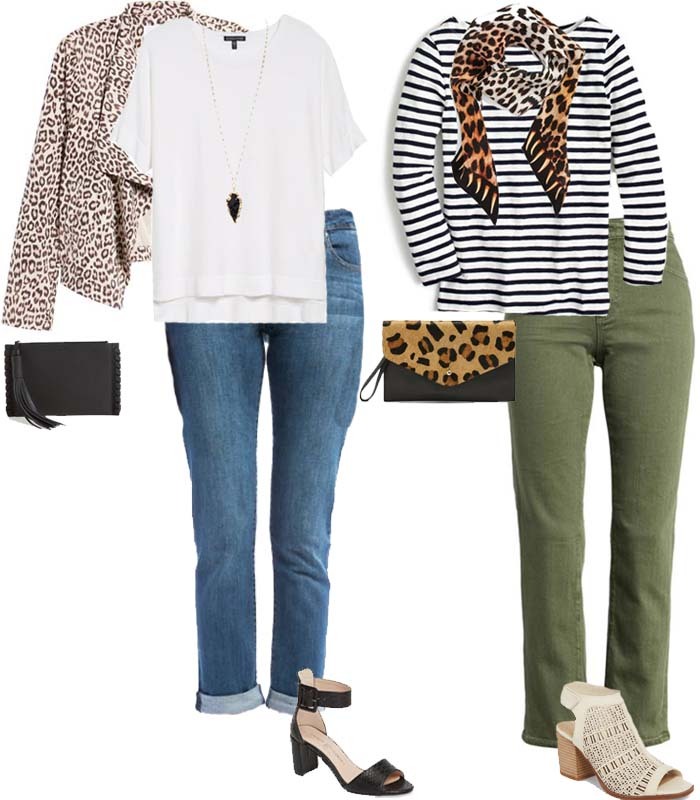 You don’t just have to wear leopard print with other neutrals. Because it works as a neutral itself, you can be bold and team it with bright colors. 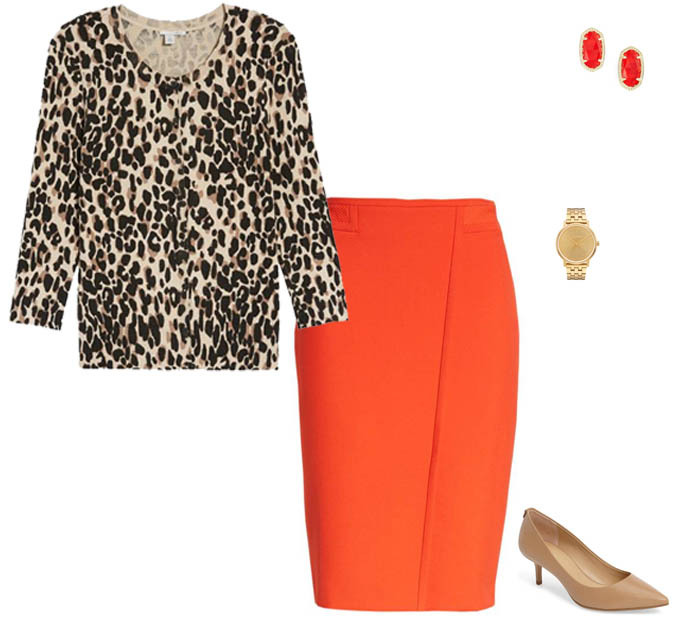 Here, a lightweight cardigan is paired with a bright pencil skirt for a look which could take your from work to dinner. Breton stripes are another summer perennial. They give a nautical air to any outfit, as if you’ve just stepped off your yacht in Saint Tropez! Here, clashing prints work well together. The high street has taken a leaf from Versace and Balenciaga’s fashion books and has created summer dresses featuring leopard print. This one from Willow and Clay has a boho vibe which could be dressed up for summer events. Do you still wear leopard print during the summer, or do you tend to push your animal print pieces to the back of your wardrobe until winter? 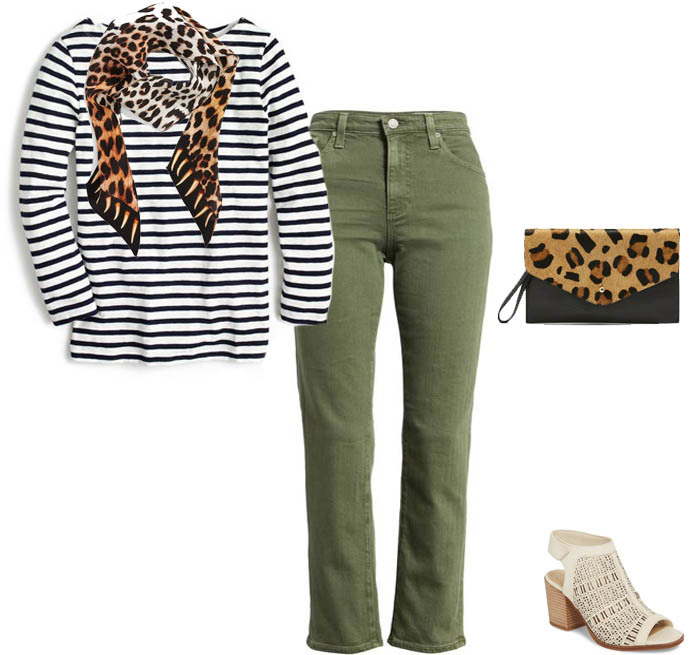 What is your favorite way to wear leopard print? P.S. You might just pick up a bargain in the Memorial Day sales, which are due to start this week! The Nordstrom half-yearly sales starts on Wednesday and runs through June 3. Expect 40% off selected styles! I am not a big fan of leopard print, but I gladly wear it as an accessory, let it be a leopard print scarf, printed bag or shoes.